On my recent visit to Disney Land, I was delighted by so many things, including, but not limited to Finding Nemo 3D, the Diamond Edition of Cinderella and a trip into Disney’s vault. But, one of the most captivating parts was the behind the scenes access we had to the creative minds behind Secret of the Wings. 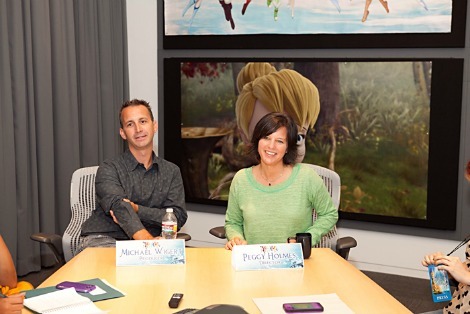 During our time at Disney Toon Studios, we first met with Ritsuko Notani, the lead designer behind all of the major and supporting Disney Fairies, who oversees the research behind each character including Tinker Bell's sister, Periwinkle. It was fascinating to learn that Ken Paves, hairstylist to the stars, designed Periwinkle's hair — based upon macro photographs of frost flowers. Notani then took those images along with her other research and created Periwinkle, who we quickly fall in love with in the movie. 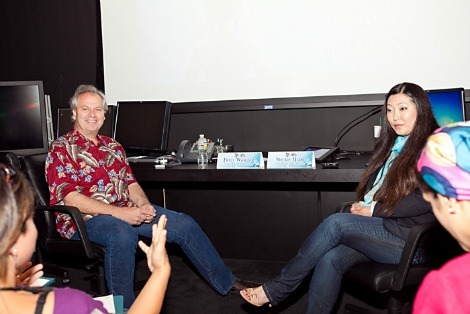 We also had the opportunity to listen to Fred Warter and Nickie Huai, the team who animated the stunning, iridescent fairy wings we see throughout Secret of the Wings. They explained the time-intensive process that brought them to their final design, which took over a year to finalize. 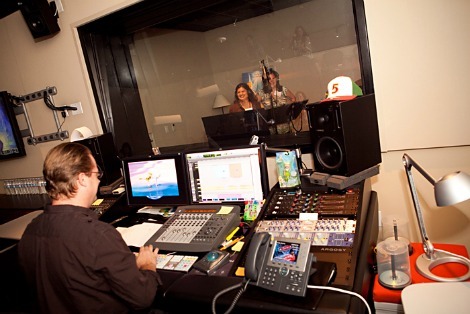 We then had the unique opportunity to sit in the sound booth, where we met audio engineer Paul McGrath, who works hand in hand with the actors to match their voices and other sounds to the movie. We had a great time watching several members of our group take a turn at the microphone, putting voice to the film. Lastly, we were introduced to the director of Secret of the Wings, Peggy Holmes, also one of the screenplay writers, and Michael Wigert, the movie's producer. The creative chemistry between them was amazing to witness as they retold their experience making Secret of the Wings. It was clear that this movie was their baby and they put so much of themselves into bringing it to life. It's easy to watch a Disney film and get swept away by the magic you see on the screen. But I suspect that I'll never watch another film without thinking of the hard work and dedication that goes into each final product. Thank you for offering me such a memorable glimpse behind the scenes, Disney. It's an experience that I'll never forget. Secret of the Wings, with its themes of sisterhood, friendship and teamwork, is a perfect addition to your collection of Disney movies and is now available on Blu-ray 3D, DVD and digital format.